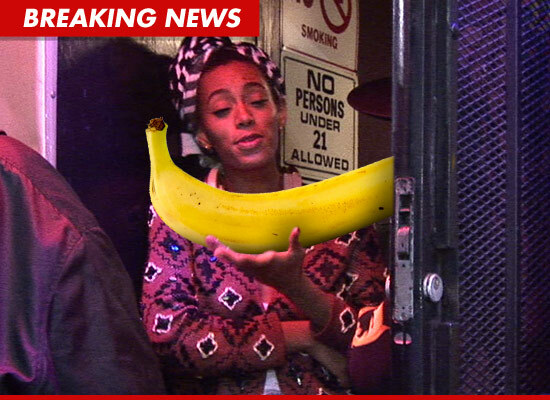 Solange Knowles Cop Drama Over GIANT Banana! TMZ has obtained the police version of what happened Sunday between cops and Solange Knowles. Cops say Beyonce's younger sis tried entering Club Cameo in Miami Beach and was denied because she was holding a 5-foot tall, inflatable banana. According to cops, Solange began complaining that she was turned away for racial reasons. 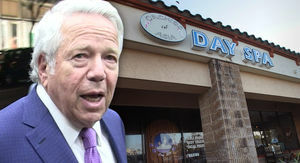 Cops say Knowles became unruly with off-duty officers, who took her across the street to try and calm her down. Solange claims that's when cops pulled a "weapon" on her -- we're told she claimed it was a knife -- and threatened to deflate the banana. Miami Beach PD Internal Affairs must investigate all such complaints, so they're getting in touch with her.